If you run a diesel fleet, you see the cost of diesel first hand at the pump, in the news, on drivers fuel receipts. Estimating fuel costs for the year isn’t too scary. 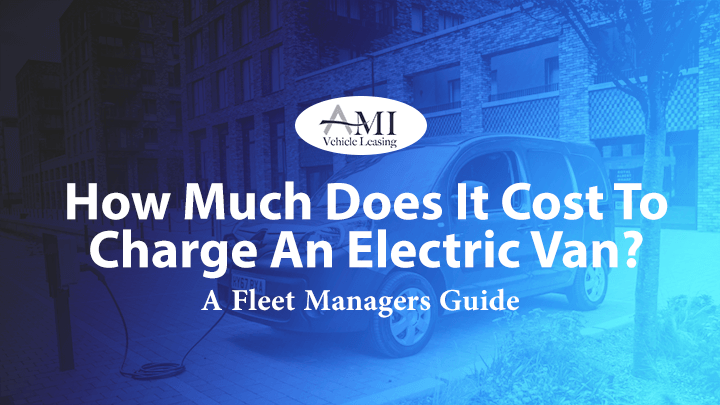 But…just how much does it cost to charge an electric van? How much power is needed to charge a fleet of 33 kwh batteries for 10 hours a day for a year? We can give you the right tools to figure out an estimate for your electric bill. How Do You Calculate The Cost Of Charging A Van? So… now you know your weekly mileage, what’s the next step to find the cost to charge an electric van? How much electricity is needed for a vehicle to cover that range? If you’re a homeowner you’ll be more than aware energy tariffs don’t stay fixed for long. Electricity prices can also differ depending on geography. In this example, let’s say you are using a domestic charging point at 12.50 pence per kwh. The Lithium Ion battery inside the Kangoo Z.E can hold 33 kwh of energy in a single charge. How Does That Compare To A Diesel Model? 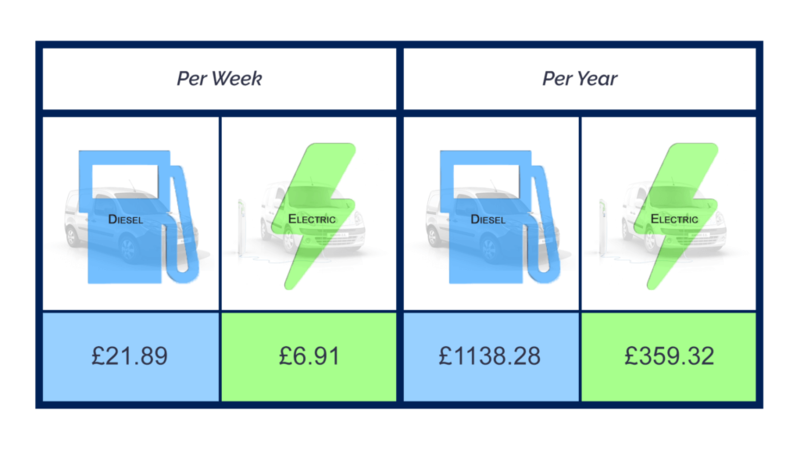 To help you understand the cost to charge an electric van, we’ll compare it with the cost of running a diesel model. Renault claim the diesel Kangoo is capable of 65.7 mpg. Let’s take the cost of diesel at £1.32 per litre. Which Is Cheaper: Diesel Or Electric? It is clear that the electric van is much cheaper to run; fueling costs almost a third of that expected in the diesel equivalent. Offered until October 2018, the government plug-in car grant is designed to promote interest in electric vehicles in the UK. Any vans that have the capability to travel 10 miles completely on electric power, and have CO2 emissions of less than 75g/km are included in the scheme. 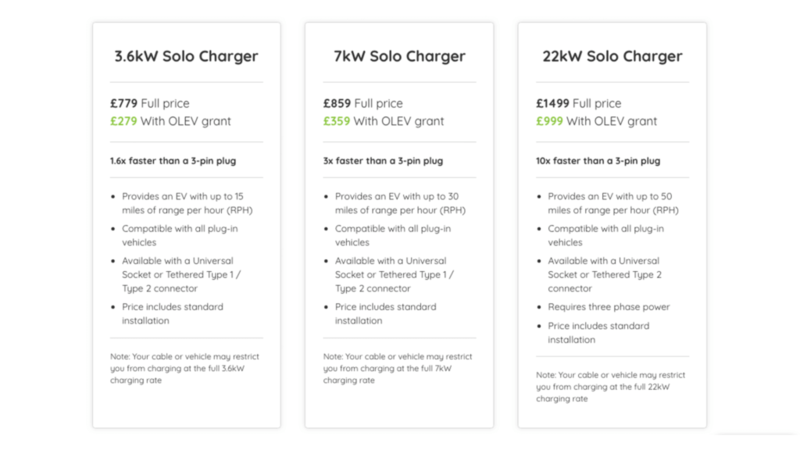 The electric vehicle home charge scheme grants 75% discount up to £500 (inc. VAT.) on home charger installations. From a domestic 3 pin plug, the Renault Z.E is estimated to charge from 0% – 100% in around 17 hours. However, do bare in mind that not all vehicles are compatible with charging at faster speeds. Are small ranges and lengthy charging times a logistical challenge you could tackle? The diesel Kangoo range have fuel tanks 50-60 litres in capacity. At 65.7mpg, that means a full tank should have no problems handling 750 miles. Under current legislation, vehicles capable of zero CO2 emissions are exempt from paying annual road tax. In layman’s terms, less moving parts…less can go wrong. (KeeResources 2017) suggests that electric cars can be around 70% cheaper to maintain compared to petrol or diesel-powered alternatives. Also many manufacturers offer long guarantees on battery performance; Renault guarantee batteries to not deteriorate below 70% of its original capacity for 5 years / 60,000 miles. If you would like to find out more information about taking an electric vehicle on a lease, contact our team. Also, you can find more of our content on Facebook, Twitter and LinkedIn.